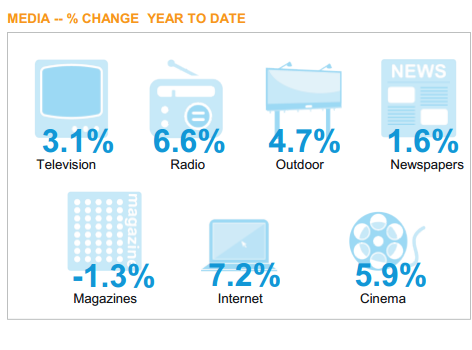 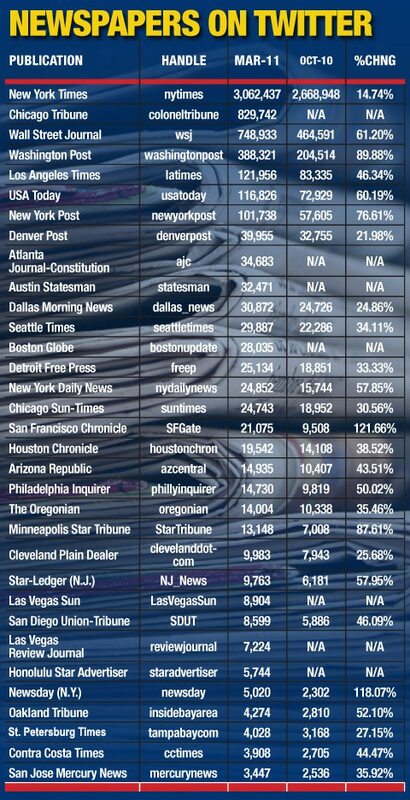 TV spends still take the biggest pie in US with online coming second . 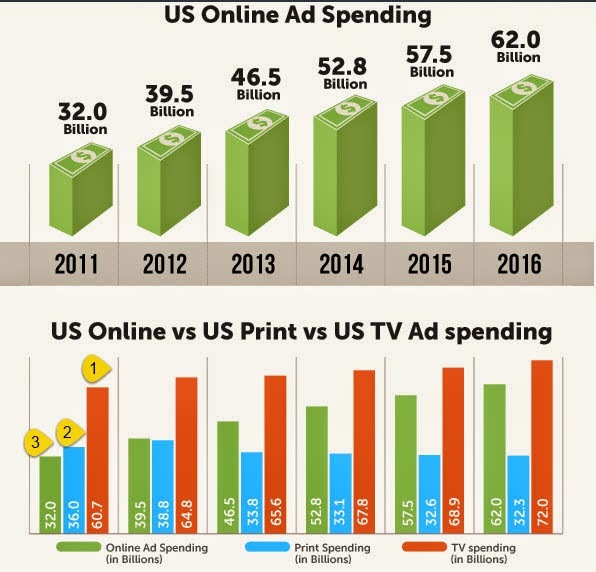 However digital spending has been growing consistently in the last 5 years in US, and it had surpassed print ads in 2012. 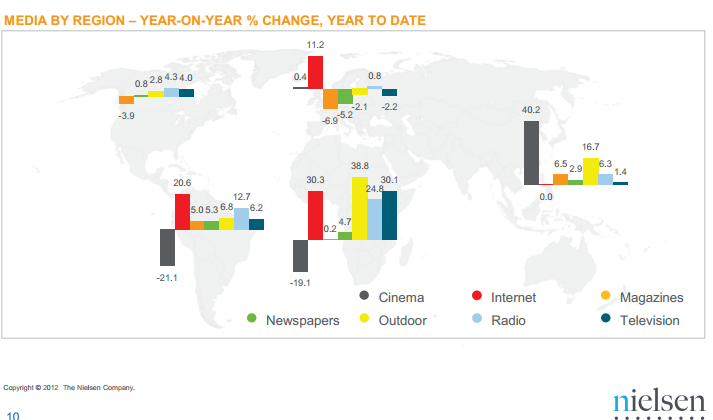 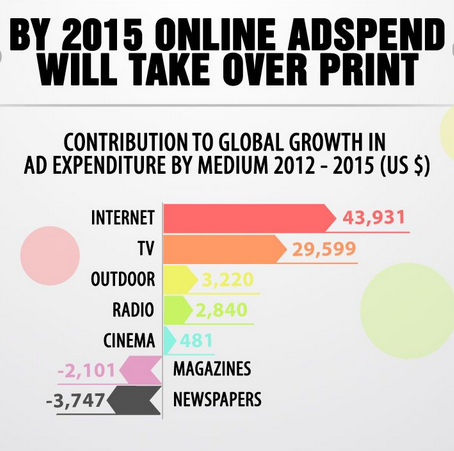 In 2015 online spends is expected to reach 62billion as compared to 72billion TV ads. Industry sources say 2018 is likely to see Online Spends exceeding TV ads in US. 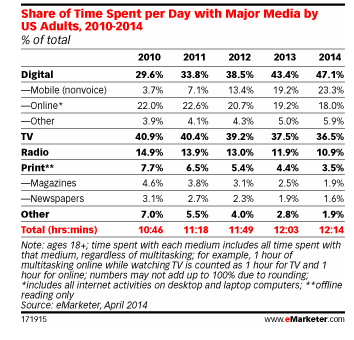 As of January 2014: 90% of American adults have a cell phone 58% of American adults have a smartphone 32% of American adults own an e-reader 42% of American adults own a tablet computer? . 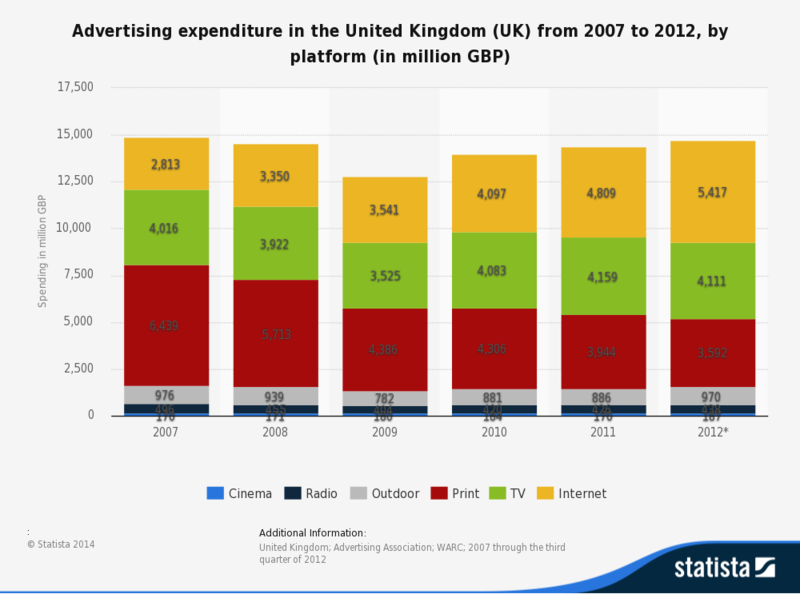 Companies in UK are all set to splurge on marketing and promotion activities this year. 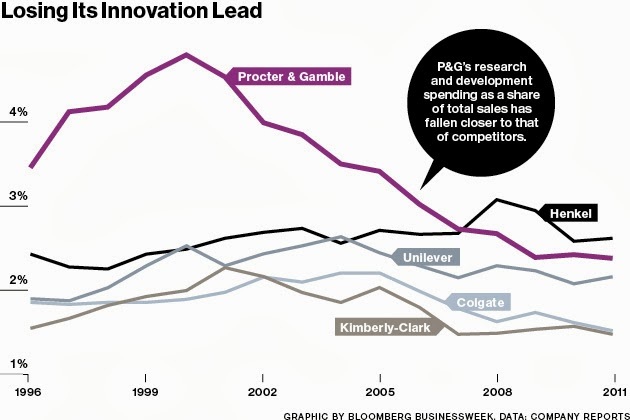 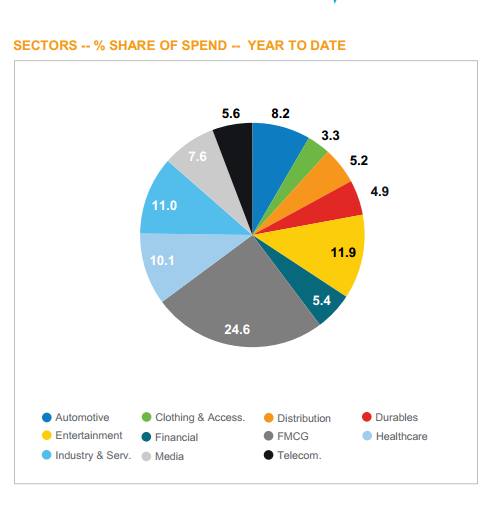 Data from Big brands shows that in 2014 Companies and brands are putting aside more cash for marketing budgets alongside improving financial forecasts. 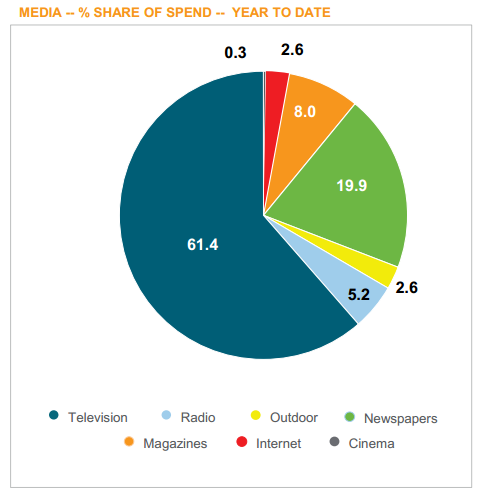 Mobile is expected to account for 15.1% of total media spending this year, while newspaper ad spend is expected to fall by 5% to 13.8%, or £2.06 billion. 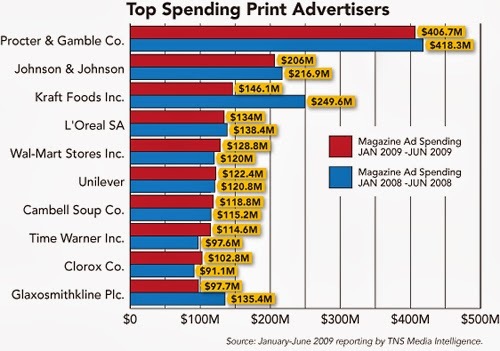 Mobile may be the future, but right now mobile ad units still command a lower price point on average than print and web advertisements. 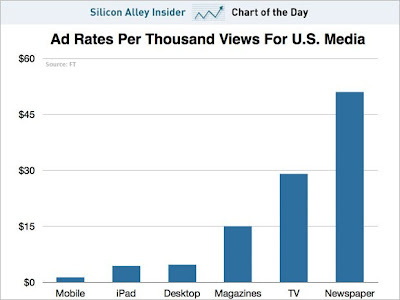 CHART OF THE DAY: The Super Low Ad Rates For Mobile - Business Insider: users are shifting to mobile devices, it could be devastating to ad-supported online businesses, says Emily Steel at the FT. Here, from her story is a look at how much an ad costs in various media to reach people based on cost per thousand impressions.More recently, leading mobile ad platform Opera Software broke down the average cost for mobile ads by device, and found that even the iPhone, which has the highest average CPM for mobile ads of any smartphone, at $2.85, still falls short of that CPM for web ads on a desktop. 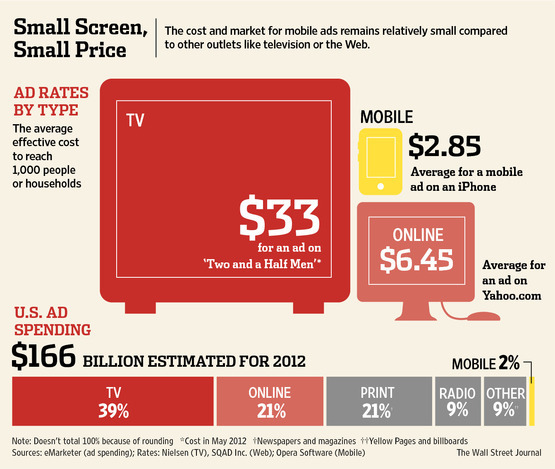 Importantly, Opera's mobile ad estimates likely skew higher because its business focuses on mobile display ads rather than mobile search ads, which tend to have a much lower CPM. 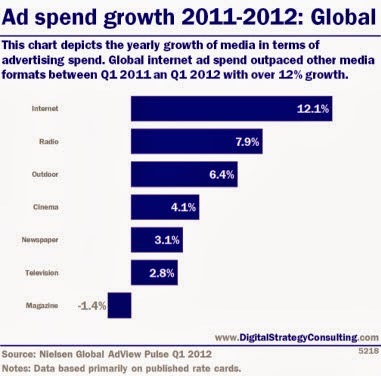  According to Mary Meeker of Morgan Stanely: The effective cost per thousand impressions (CPM) for desktop web ads is about $3.50, while the CPM for mobile ads is just $0.75.However, in the aggregate, mobile ads continue to be cheaper than web and print, due to a combination of limited screen real estate, a lower price point for search ads and less sophisticated advertising technology to entice marketers to pay more.